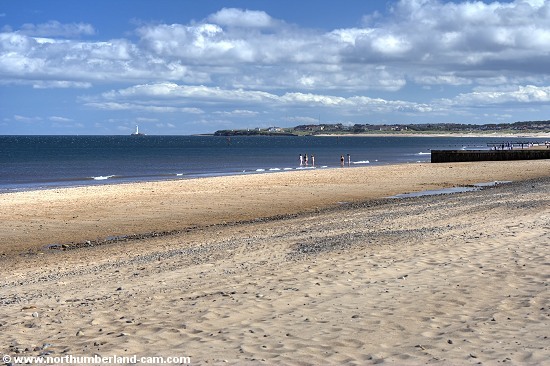 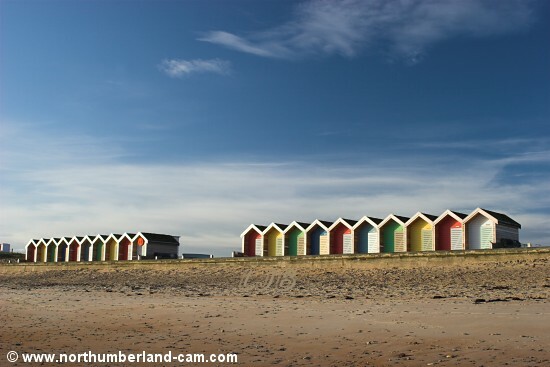 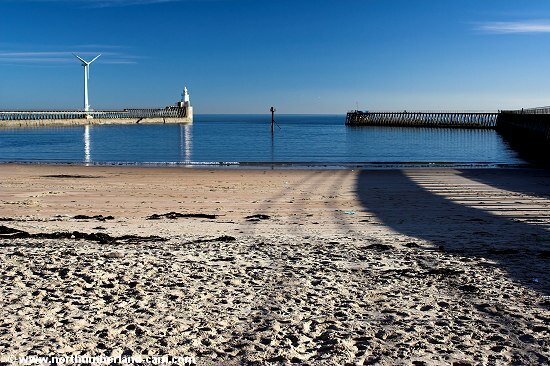 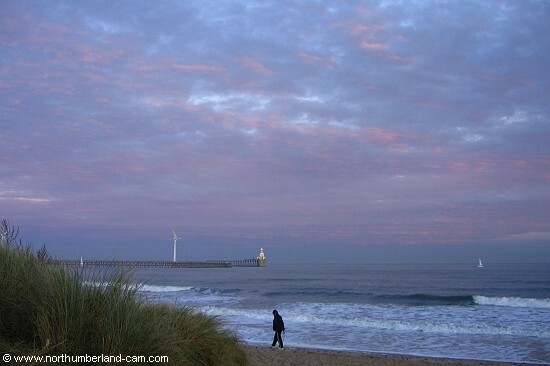 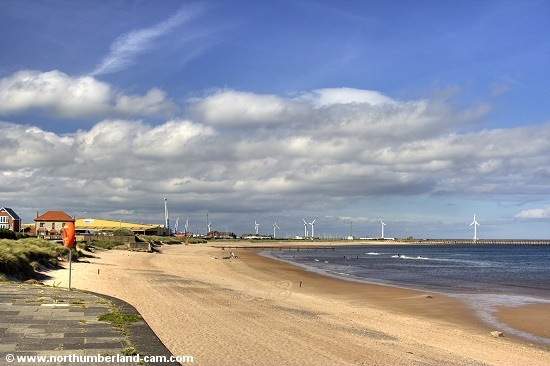 Blyth South Beach is a huge beach stretching from the Port of Blyth down to Seaton Sluice. 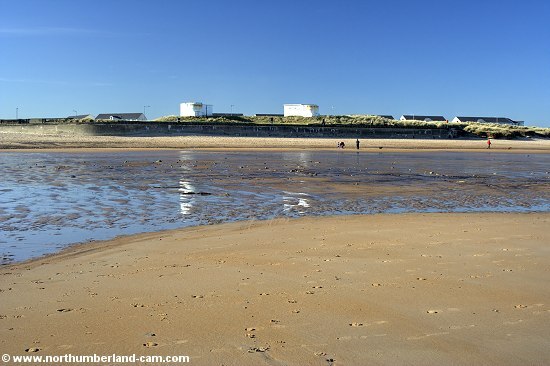 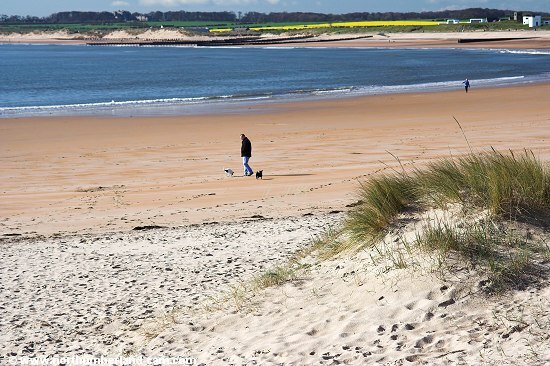 It is without doubt the most popular beach in Northumberland in terms of visitors, many of whom live only a short walk away. 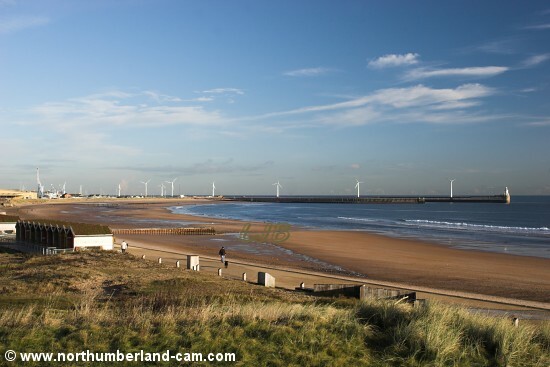 Even so, it can still seem almost empty at times. 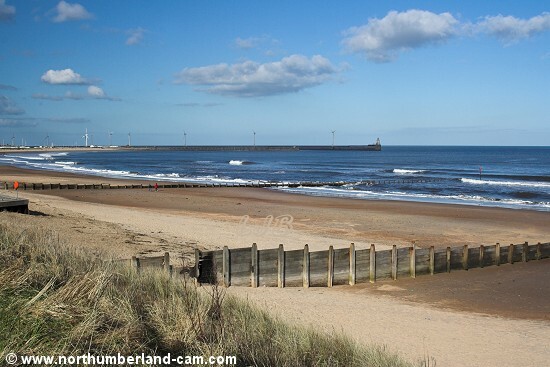 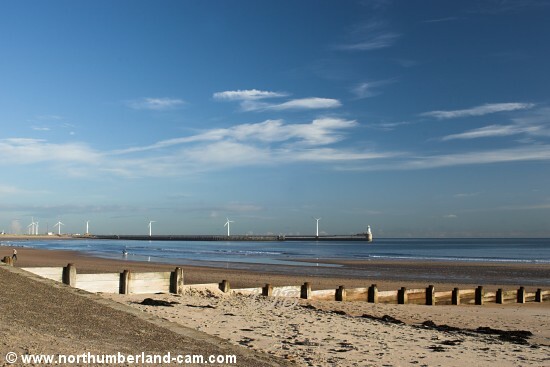 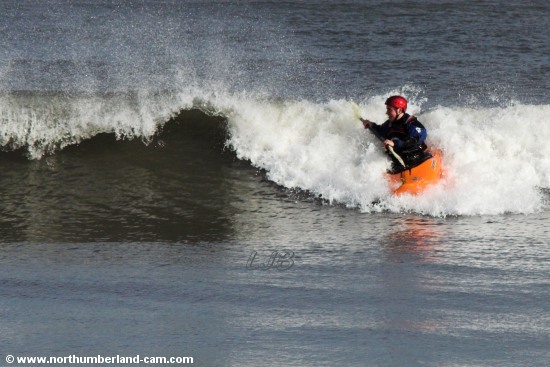 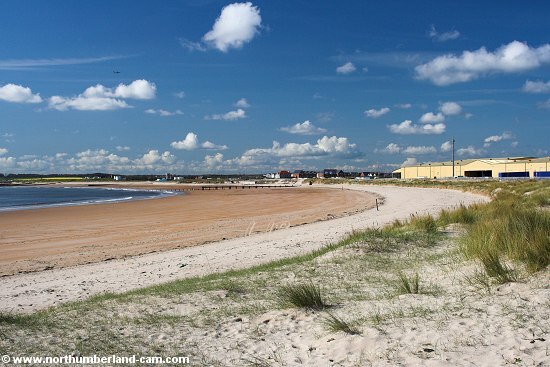 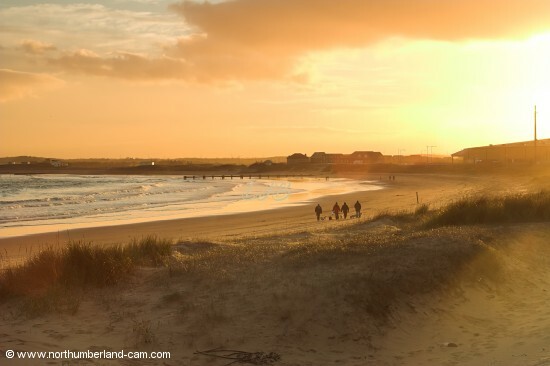 The beach is well used by walkers and dog owners as well as sea anglers, surfers, canoeists, jet skiers and families. 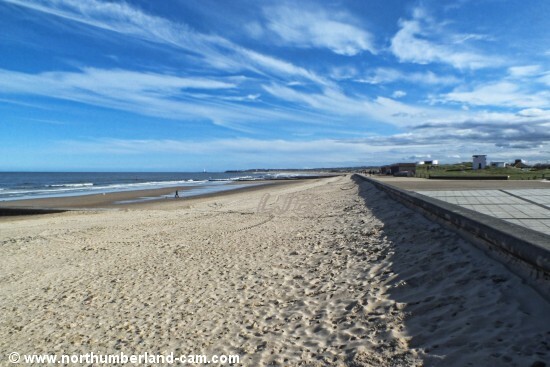 Many people simply visit to watch the large waves that roll onto this beach in rough seas or to watch ships visiting the Port of Blyth. 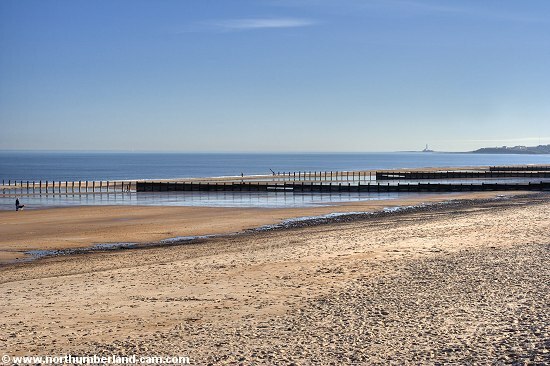 Views from above the promenade. 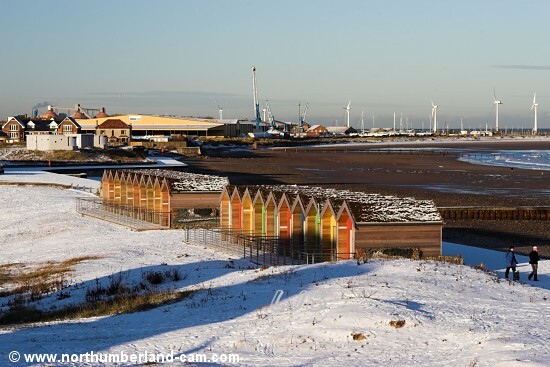 View from above the promenade in winter. 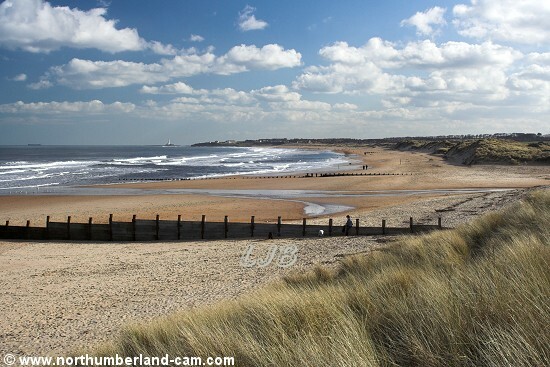 Blyth South Beach on a very fine winter day. 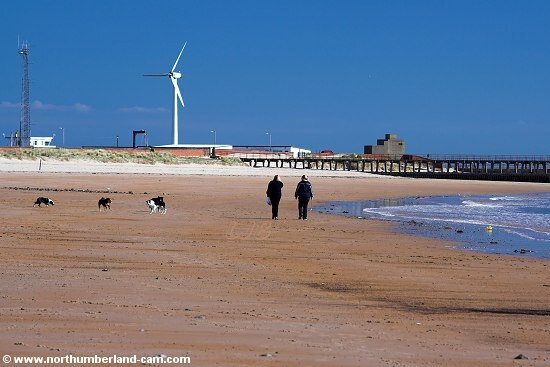 The beach between the West Pier and the River Blyth. 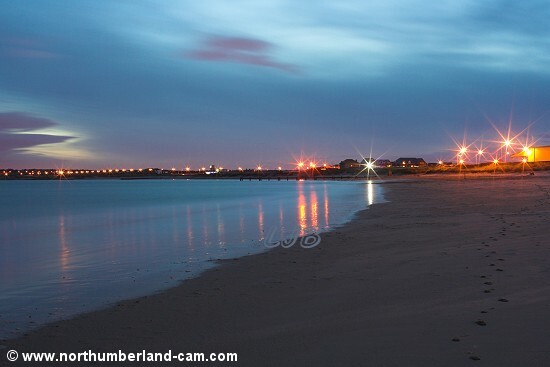 View from the harbour wall. 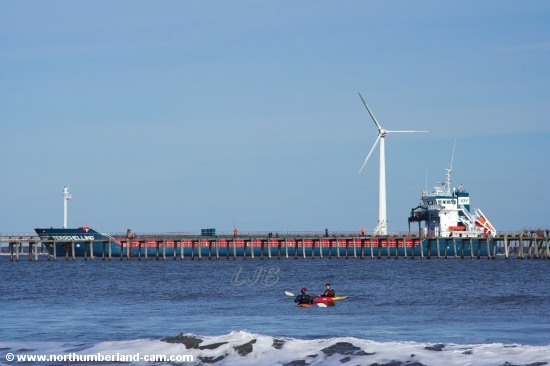 Leisure and commerce - canoeists at Blyth South Beach with a ship entering the Port of Blyth. 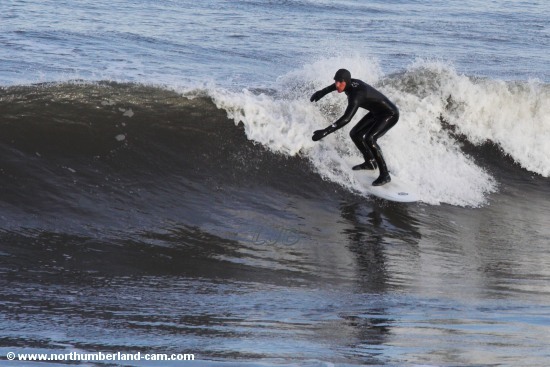 Surfers are often seen here too. 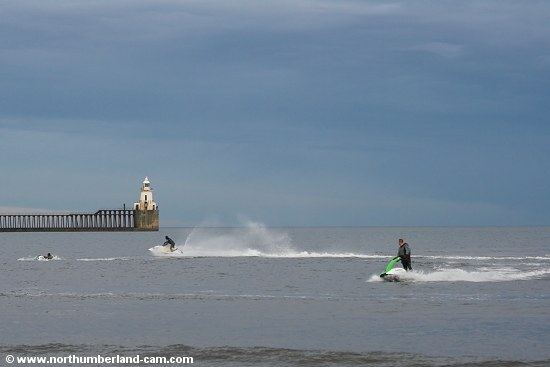 Jet Skiers on a calm day in winter. 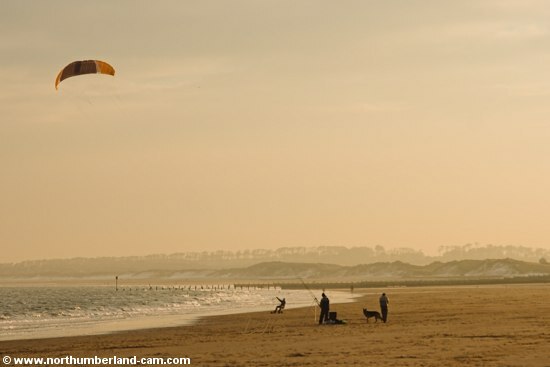 Fishing and Kite-Boarding on a cold winter day. 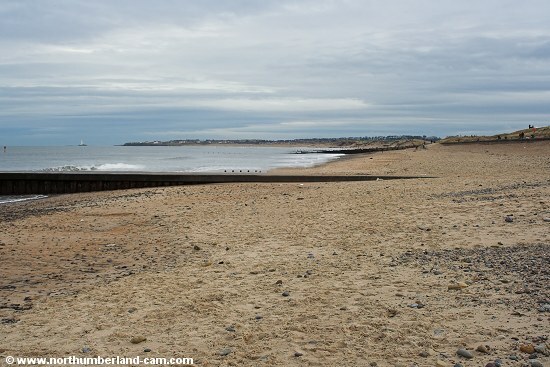 Blyth South Beach - deserted on a dull day. 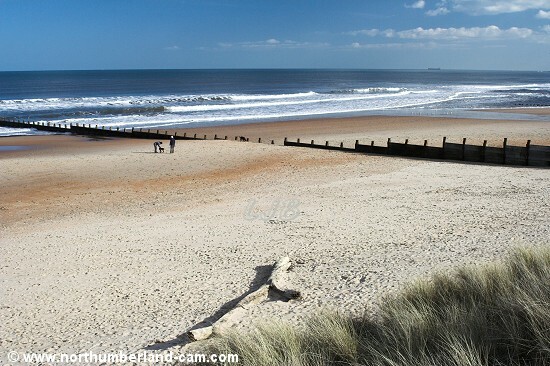 Blyth South Beach seen from the dunes on a sunny day. 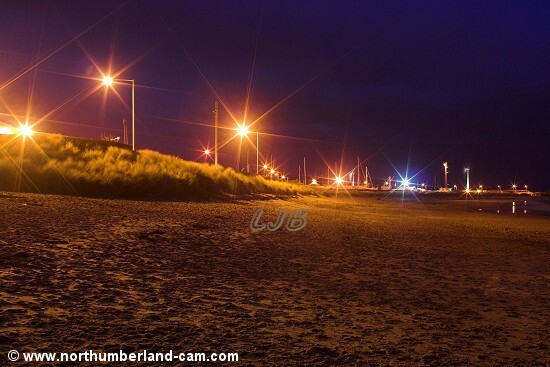 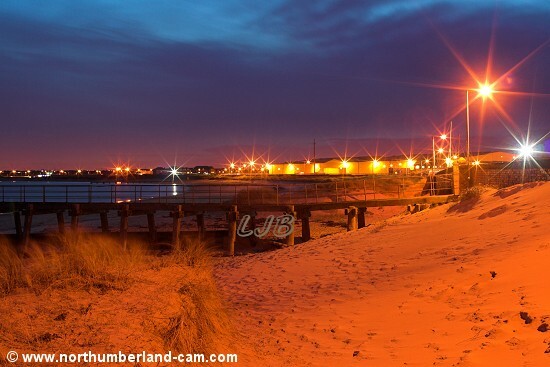 Blyth South Beach in the evening.